Stylish LED light for pop up and fabric display stands. Let there be light! With our selection of display lights suitable for display boards, banners stands and pop up displays, you can easily illuminate your display and stand out from the crowd. Call us today on 0808 274 5400 to talk to us about your display lighting needs. Why should I illuminate my stand? Giving light to your display can enhance your portable system and make your graphics stand out. Like a moth to a flame, this will help to draw in the eye of passers-by to greater effect. This in turn will help you to gain more interest on your stand. Lights are also a staple ingredient for event planning to avert what might feel like a potential catastrophe. For what is worse to an exhibitor than a dimly lit space to exhibit? Rather than muddling through with visitors squinting to see your amazing stand and graphics, use lights to provide a bright and welcoming atmosphere around your stand. Most of our lights come with a universal fitting which means they can be used on a wide range of panel display systems. Halogen – halogen lights are great for illuminating your displays as they produce bright levels of light. Halogen lamps are generally cheaper than alternatives. LED – LED bulbs have thousands of hours of life expectancy. They consume less electricity, emit less heat and are the go to light when it comes to exhibition display lighting. 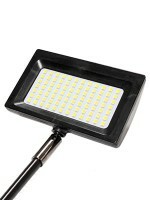 Be sure to read the product descriptions to find out which display light uses LED or halogen bulbs. If you’re looking to illuminate large displays, consider choosing flood lights that have a large spread of light. Spot lights have narrower, more concentrated beams of light that are best suited to illuminate smaller displays such as banners and display boards. What are linked light kits? Some lights are available as ‘linked light kits’. A linked light kit comes with an extra light but more importantly, a linking cable that allows more than one light to connect to the same transformer. Up to five lights can be connected on the same transformer. The stand out benefit here is the potential saving in costs! At exhibitions and events, you are normally required to rent out plug sockets if required. With a linked light kit, you are saving yourself the need to rent an extra plug socket if you are using more than one light. Which display light is right for me? Display board lights – our Light50 is designed for use specifically on display boards. The handy bulldog clip system allows for easy clamping on display boards. This light also features a 360 degree adjustable head, perfect for illuminating your display boards at the perfect angle. 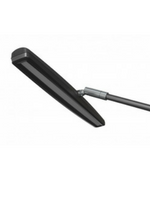 Banner lights – the LED Light 800 is the newest purpose built light for pop up banners. 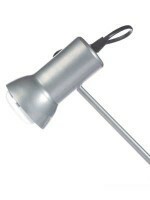 This light also features a bulldog style clamp to securely attach onto the poles of your banners. 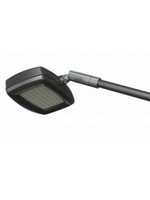 The 180 degree adjustable head and curved arm provides an optimal positioning angle for your light. 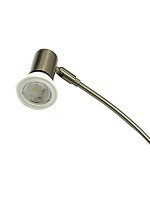 As the name suggests, this light also uses an energy saving GU10 LED bulb. We stock almost every light as an off-the-shelf item, which means you can expect to receive your lights the next working day if ordered before 2pm. Looking for more information? Please give us a call today on 0808 274 5400 and a member of the team will be happy to help.